Hello friends and readers, thank you for opening our letter! Welcome to a New Year, and our first quarter HEAL Newsletter! 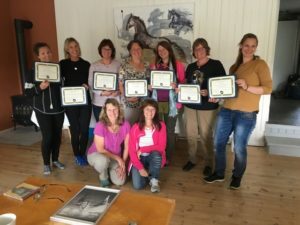 In the News from HEAL we feature our 2017 graduates of the HEAL FTP Facilitator Training Program (FTP) held in Norway! You’ll enjoy reading about the individuals who formed our latest cohort, and how they are employing the HEAL model with horses, in their client work. You can meet HEAL instructor Jeanette Lysell, who assisted Senior Instructor Kristin Fernald with this class. Combine fun and learning by perusing our “Good reads & Links” column. And check out our 2018 programs. These seven women, and 2 instructors, created a strong learning community in the 5-month-long HEAL Facilitator Program. This included working hands-on with the herd at Bilitt Gård in Hobøl, Norway. And they completed practical and academic assignments through ‘distance learning’ completed from home. The HEAL program takes commitment and hard work! Warm congratulations on your well-deserved success, HEAL Certified Facilitators! I live with my family on our own horse-farm, with 6 horses, about an hour drive from Oslo. Since 2008 I’ve had my own full-time practice as a clinical psychologist. I have several years of experience from psychiatric hospitals, and with outpatients. I have special interest in trauma treatment and relational-oriented therapeutic work. I’ll use the HEAL model both in work with patients, and for supervision and training for psychologists and other health professionals. It has been a great pleasure to join other professionals in the HEAL training program. I have been around horses my whole life, and somehow I have always managed to bring horses into my job, except when I was working at a fabric store! Now I have a herd of four horses and I am gradually building up my own business. It seems that all my education, jobs and other models that I have attended have all lead me to where I am now. The HEAL training is the most valuable and powerful training I have been a part of. The healing through the connection between human and horse in the model is so smooth yet so amazingly powerful and I am grateful to be a part of it! I look forward to continuing to use the model in my work with children and adults. I live in Holmestrand, Vestfold, not far from our capital Oslo. I love to ride and be around horses and they have always been an important part of my life. I am a clinical psychologist and have worked in a variety of settings with adults and adolescents with psychiatric and drug -use problem. I became a specialist in the field of treating adults with psychological problems in 2013. I truly believe that we have a lot to learn from horses, and that working together with them in a therapeutic setting can be a source of emotional healing. I have recently started a private practice where I offer equine facilitated therapy. I am very grateful for being accepted into the training program. It has truly changed my personal life and the way I work professionally. My interest for horses started as an adult together with my two girls. As a psychologist I soon found my attention taking notice of the horses’ fabulous way of relating to each other and to humans, and to the peacefulness I experienced together with them. I have had my own full time private practice for almost two years now. Before that I have worked in a psychiatric hospital with inpatients and outpatient. Most of the time I have been working with children and their families. I have met children, adolescents and families with many different kinds of problems and disabilities. I try to help people to understand more about themselves and others through relationships in their life and history. I work with therapy in my office most of the time, but want to offer more equine facilitated therapy. I find it especially useful in the work with adolescents who have been in treatment for many years without getting better. The HEAL model training program helped me integrate my knowledge in a new way. It was really a “learning by doing” process, and I had a lot of personal growth in the period of the training program. I am very grateful for this. I grew up on a farm in Norway with Icelandic horses, riding and spending time with horses from early childhood. Today I have my own company, working with child psychotherapy and providing parent supervision. I’m educated as a pedagogue for children with special needs and Gestalt psychotherapist. I’ve also done postgraduate education in attachment, interaction and trauma studies and have a certificate from the Gestalt Centre in London in Gestalt Play Therapy. I love to work with interaction between parents and children and work with families in Equine therapy. i mostly work with children and horses in play psychotherapy, using HEAL methods in work with trauma, attachment, unmet needs and emotions. I currently live in England with my partner, 4 cats and a dog. I offer programs and services in England and Canada. My love of horses started in childhood; my path to becoming a practitioner in the field of horse-human interaction started when I volunteered with a therapeutic riding centre in Canada. I eventually became a PATH Therapeutic Riding Instructor. I’m a passionate and dedicated educator, with a masters in Childhood Education and advanced studies in special needs. I’ve had the opportunity to facilitate learning for diverse groups of individuals across various environments in Canada, South Korea, and the United Kingdom. My aim in working with clients is to assist them in becoming their best selves. To view complete profiles as written by the grads click here (all graduates are also listed under “HEAL Graduates Worldwide”). Not all profiles were available at press time, more will be published in upcoming issues. We wish you all great success in your clinical and educational work with clients, and look forward to your continued involvement in the community of HEAL Facilitators and the beginning of “HEAL Norway”! Jeanette Lysell, graduated HEAL FTP in 2013 in Chehalis, WA and has been on the HEAL instructor pathway since 2016. The FTP in 2017 was held at her farm with Kristin Fernald as lead instructor and Jeanette as an assisting instructor. 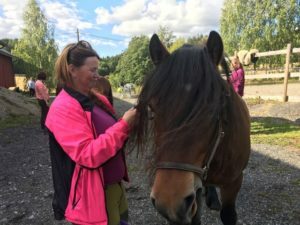 Jeanette lives in Norway where she has a small farm together with her husband and their herd of five horses. Born in 1963, she has had a long life passion for horses. When she discovered a stable nearby her home in Oslo in 1973, there was no way back! Jeanette is a certified Bodynamic therapist, an accomplished horsewoman and riding instructor, and a fabulous chef! 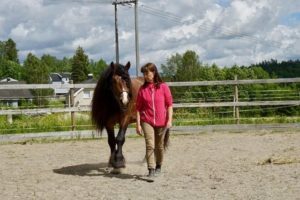 From 1996 to 2016 she worked at “The Stable” at Oslo University Hospital where she developed the horse assisted therapy program for people with drug addiction. She first met Leigh when Leigh presented a seminar about the HEAL model at the Oslo University Hospital in 2012. Now Jeanette offers horse assisted psychotherapy / learning at her farm for children, adolescents and adults. She also runs the 6 Keys to Connection 3-day workshop in Norway. 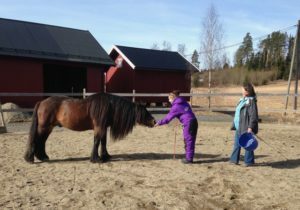 Jeanette is often asked to be a lecturer at different courses in Scandinavia about horse assisted intervention programs. The HEAL model has given me a powerful path to follow and support me with good guidance and inspiration in my work. HEAL-FTP provides post-graduate level training for professionals seeking the knowledge and experience to incorporate Equine-Facilitated Psychotherapy & Learning (EFPL) into their counseling, teaching, or coaching practice. 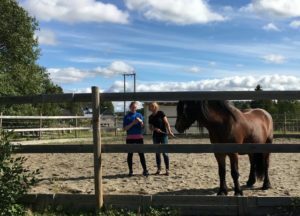 This 5-month course prepares participants to facilitate horse activities for experiential psychotherapy or learning, helping clients increase relational ability, emotional well-being, self-awareness and empowerment. The teaching faculty includes Leigh Shambo, MSW, LPCC, founder of HEAL and Kristin Fernald, MA, LMHC, HEAL graduate and instructor, as well as assistant instructor Sandy Matts, MA, HEAL graduate. The HEAL FTP attracts professional educators, counselors, therapists and life coaches from around the world, preparing them to incorporate EFPL into their work with clients. Raven Rock Ranch in Redmond, WA will once again be the hosting site for the 2016 program. For details Click here to view informational flyer. 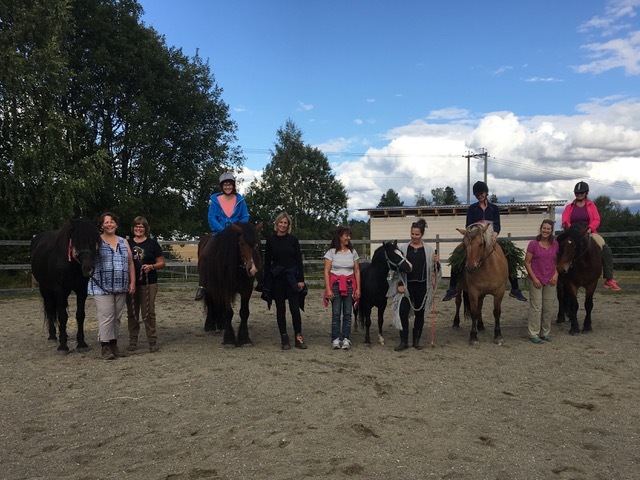 Keys to Connection workshop is for anyone interested in equine-facilitated psychotherapy and learning (EFPL), for personal or professional growth and learning, including horse owners wanting to deepen their understanding of the human-horse bond. The HEAL Model™ of EFPL is an experiential learning model, based on scientifically validated principles from the fields of neuroscience and psychology (human and animal). Horses, as social mammals, are surprisingly similar to humans in terms of their relational needs to not only survive, but thrive. Through ground-level activities with these sentient beings, six core skills for enhancing self-awareness and interpersonal wellbeing will be explored. This workshop is a requirement for attending the HEAL Facilitator Training Program. This workshop is for Mental Health professionals interested in equine-facilitated psychotherapy and learning (EFPL), for personal and/or professional benefit. 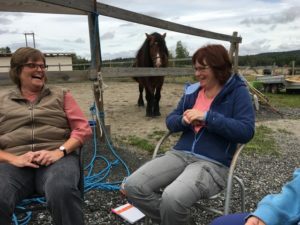 The KTC workshop is relevant to therapists who want to learn about a method of response to every culture and demographic that presents for treatment, as Equine Therapy overcomes cultural barriers that do not exist in a horse-human relationship. HEAL comes to the state of Georgia for the first time! Two newly published books are filled with information and viewpoints about the broad and dynamic field of equine-facilitated psychotherapy and learning. 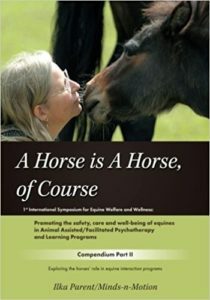 Both volumes focus on how the horse is viewed and cared for in EFPL services. HEAL is just one of the models of EFPL featured in this compendium of papers included in the A Horse of Course Conference, held this past July in Wartenberg-Rohrbach, Germany. Thanks to Ilka Parent and Felicia Katarina Lundgren for organizing the symposium and editing these volumes. ARTICLE Follow this link to Ann Kern’s research that shows how horse therapy keeps young adult addicts in treatment, contributing to success. "I appreciate the structure and neurobiology of your model as well as the flexibility and openness for the horse to be able to 'speak' throughout the sessions." ~ M.H.